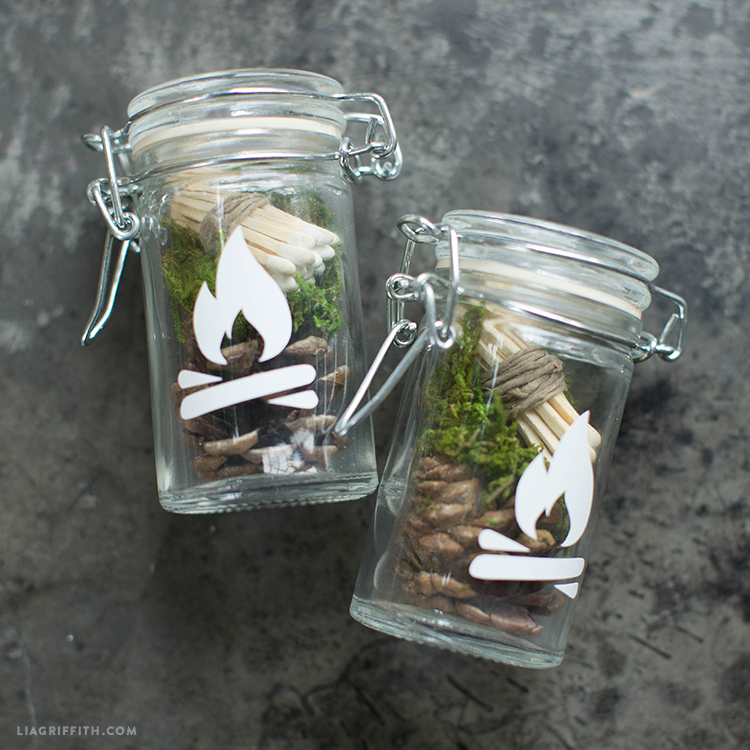 Ignite your excitement for the great outdoors with this fire starter kit. It makes an adorable gift for dad and is small enough to take with you on your many adventures. 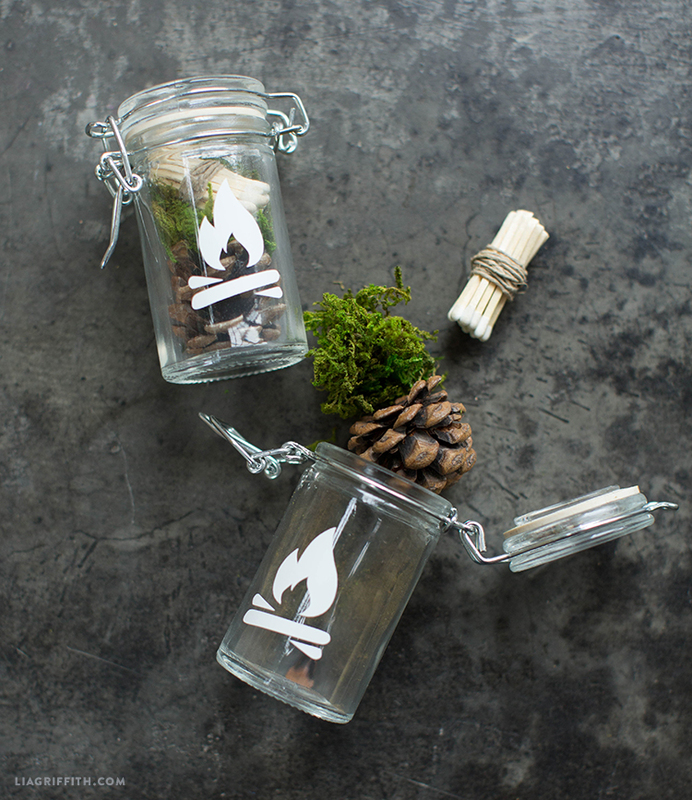 The glass jar keeps to matches dry so you can strike the perfect flame every time. This project is part of our camp-inspired Father’s Day crafts. You can browse more rugged gift ideas for dad here. Download the SVG files below and make sure the jar surface is clean. Cut your design onto the vinyl and weed the excess vinyl from your design. 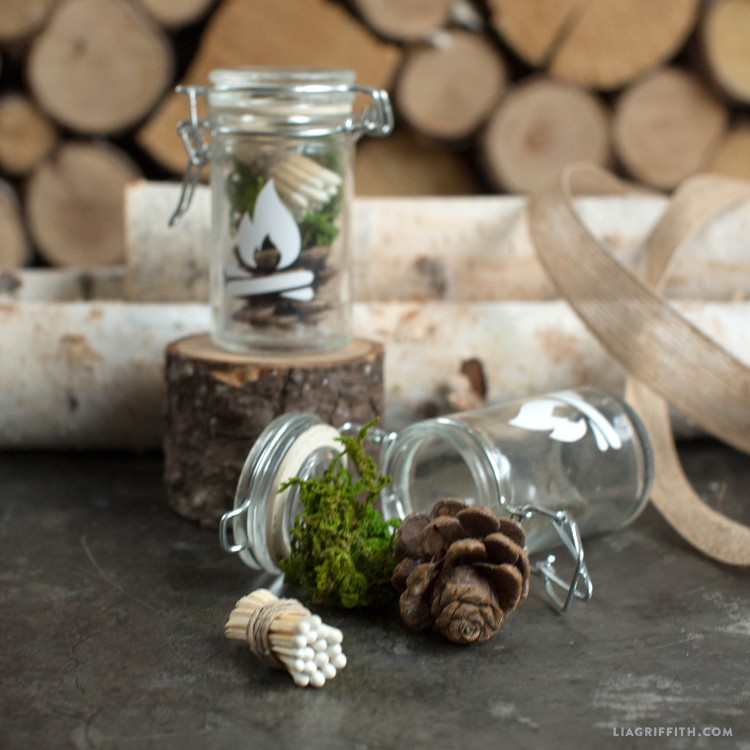 Use Transfer Tape to easily attach your design to the jar. 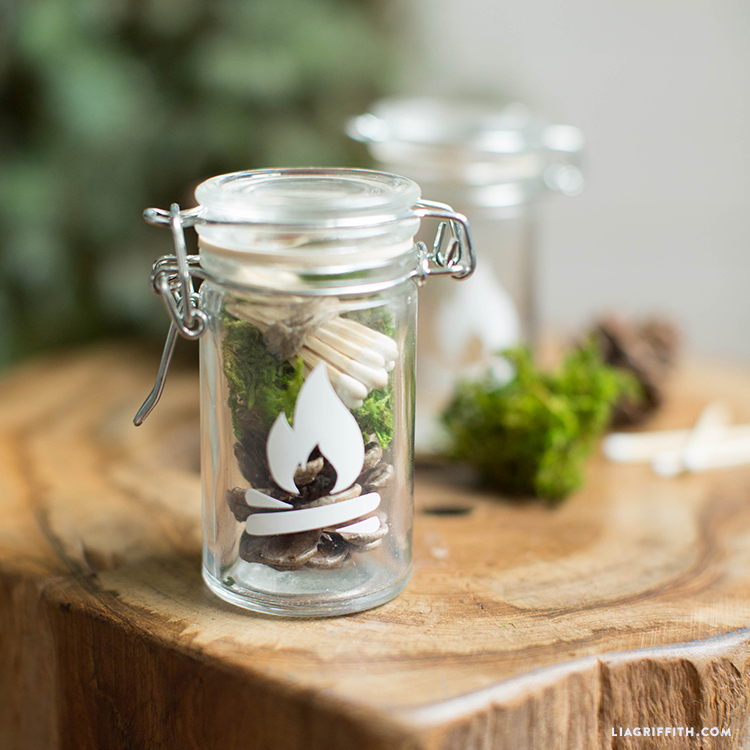 Place the pine cone in the bottom of the jar. Layer the moss on top. Bundle about 10 matches and tie them together with the twine, you may need to cut the matches shorter to fit them in the jar. 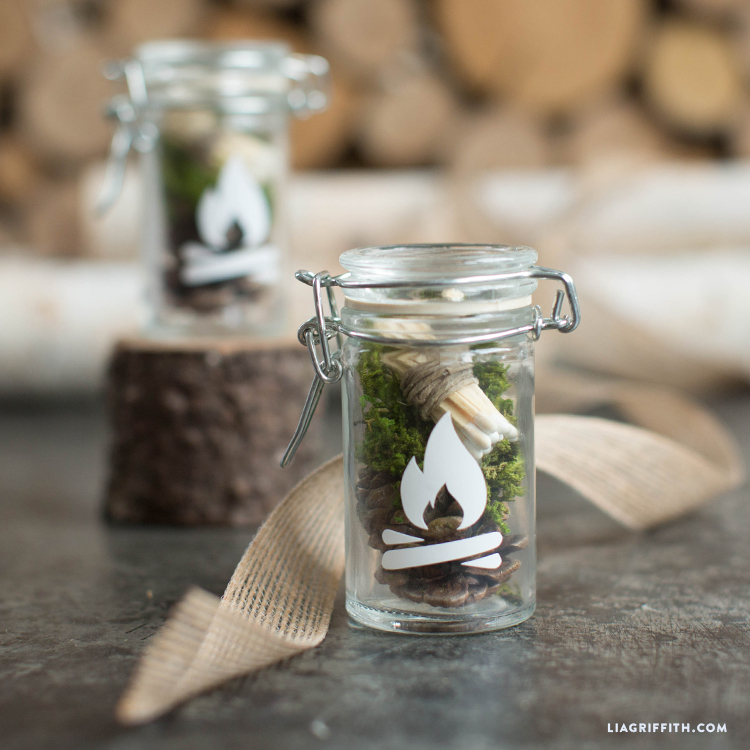 Cut the strike strip off the match box and add it to your fire starter kit.